MotoPress has excellent news for the owners of restaurants and culinary enthusiasts! 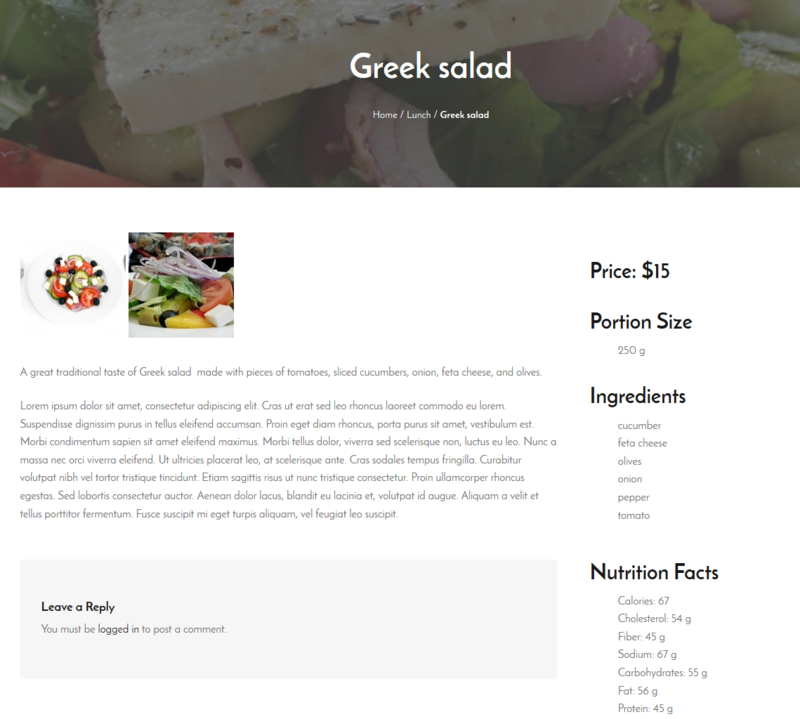 We’ve expanded the product line with one more great free plugin for the WordPress website – Restaurant Menu. This is an easily manageable solution for presenting the overall offerings of your restaurant in a modern and catchy way. This tool will help you soup up the online presence of your restaurant absolutely free of charge. Online menu is an important marketing channel for increasing brand awareness. More and more customers want to see a menu and reviews before they eat at the restaurant. Restaurants and cafes became the most searched industry by consumers on mobile and tablet devices. Consumers are less likely to choose a restaurant if they can’t access the menu on desktops and especially on mobile device. Moreover, smaller food establishments very often see up to 50% rise in takeout revenue after selling food online and using online ordering systems. The idea of all these findings is very clear: customers love to see you improve the convenience level of your services by being available from everywhere. If you invest time and efforts into building a strong brand image of your restaurant across the web, it could lead to significant growth of customers’ interest and, of course, generating revenue. Using a free solution by MotoPress, you can increase customer turnout providing more chances to stumble upon your restaurant not only in reality. Ease of implementing and setting the plugin via the shortcode. When it comes down to details, the following advantages characterize the plugin. 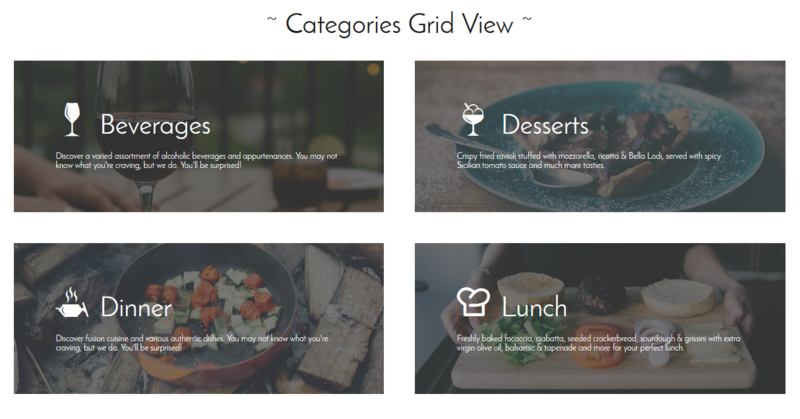 You can present your restaurant with unlimited custom menu items and categories. Menu items are all your food and beverages offerings. You may also organize them under various categories to make the search through the menu much faster and easier. These may be standard ones like ‘appetizers’, ‘entrees’, ‘side orders’, ‘desserts’ and ‘beverages’ or/and you may include categories like ‘holiday menu’, ‘breakfast on the go’, etc. Depending on your website theme, width and your personal choice, you can choose among different clean-looking menu designs. 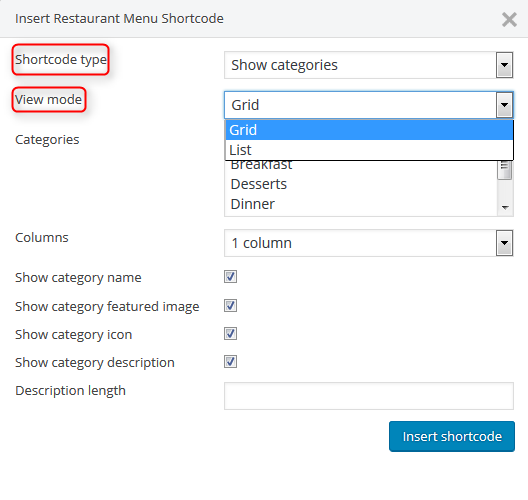 Apply several settings in the shortcode parameters and check which design is the most suitable. 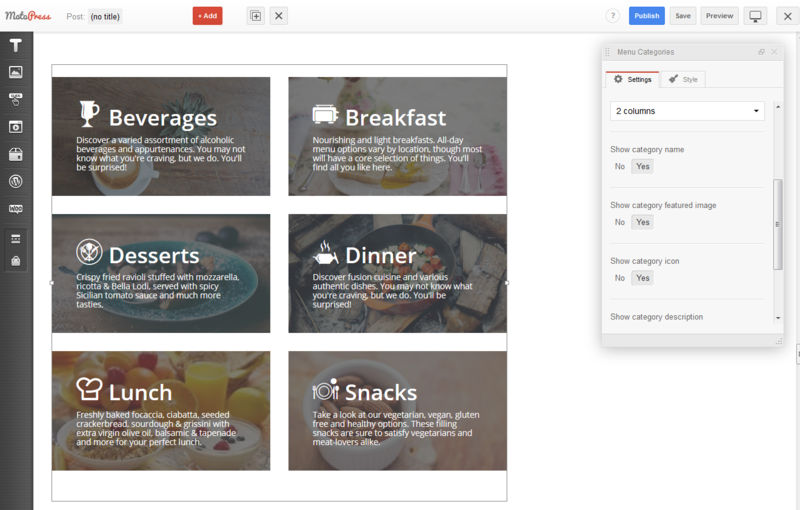 The plugin proposes List View and Categories view for both menu categories and menu items. A couple of experiments and all the magic is done. The menu (items and categories) can be also displayed in up to 6 columns, so you can always find the best choice for your current website. Health-conscious customers will be definitely pleased to see maximum information about each menu item. Restaurant Menu plugin allows to supply it with detailed description, portion size, ingredients list, tags, price, Nutrition info and even include additional image gallery to each item. You may still uncheck the needed parameters while working with the shortcode of you want to hide them. One more big plus, you can sell your offerings online with a help of PayPal payment gateway. The payment system is very safe and the checkout process is fast. More merchant services will be also available within the plugin in future. 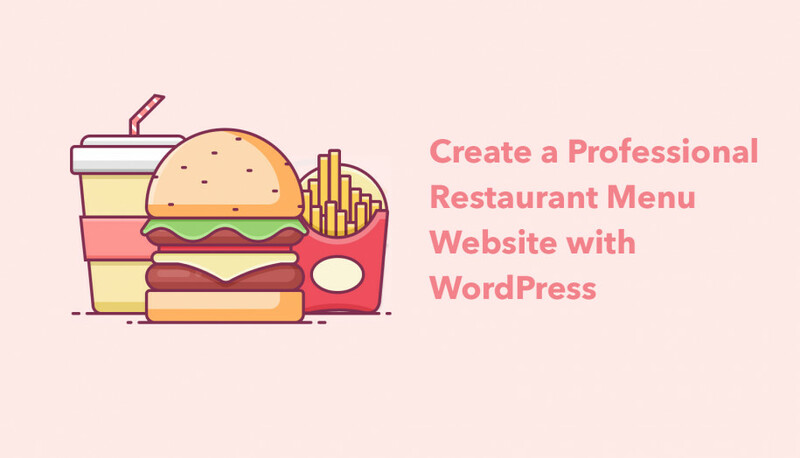 The Restaurant Menu plugin is easily integrated with the MotoPress WordPress Editor – frontend visual content builder for any WordPress website. Instead of setting your menu up within shortcode, you may do all that work in WYSIWYG format, namely, update the menu fully visually. The combination of these two plugins will help you save a lot of time and will make the actual customization process hassle-free. MotoPress content editor will help you not only edit the menu visually, but also apply various styles without coding. Restaurant Menu plugin also provides with a safe import and export of your data. Backup or changing the hosting is not the issue as you may safely import and export all your information for further tweaks. The plugin comes packed with the detailed documentation, so you know where to start and how to make everything work very fast. 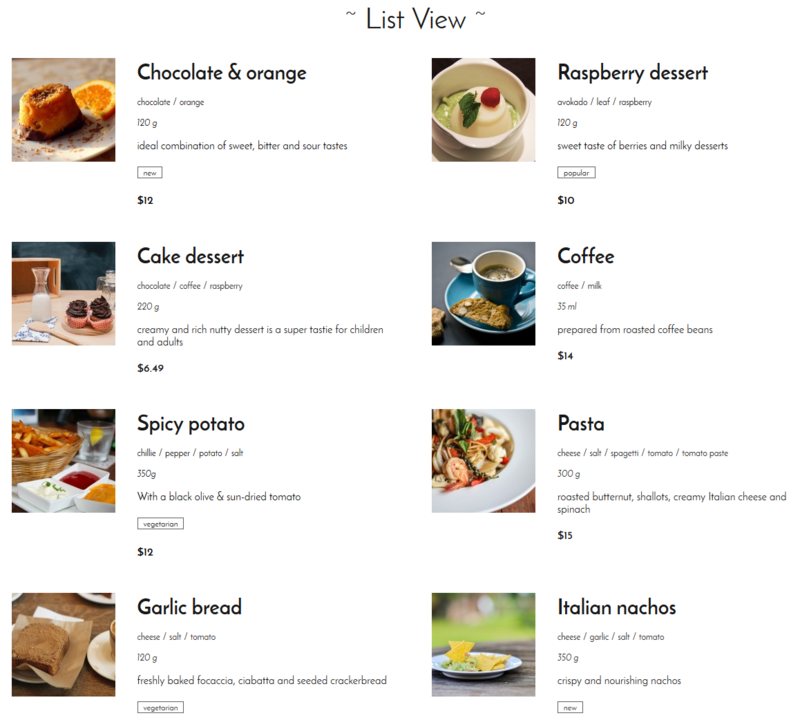 View how Restaurant Menu plugin works on the demo website and decide whether this is what you need. Toppings addon – a premium plugin to create a pizza builder and sell extra food and drinks. MotoPress Restaurant Menu plugin is literally your bread and butter for proper digital accessibility, which will help to keep the customers all the year round, constantly improving the foothold of your restaurant business. 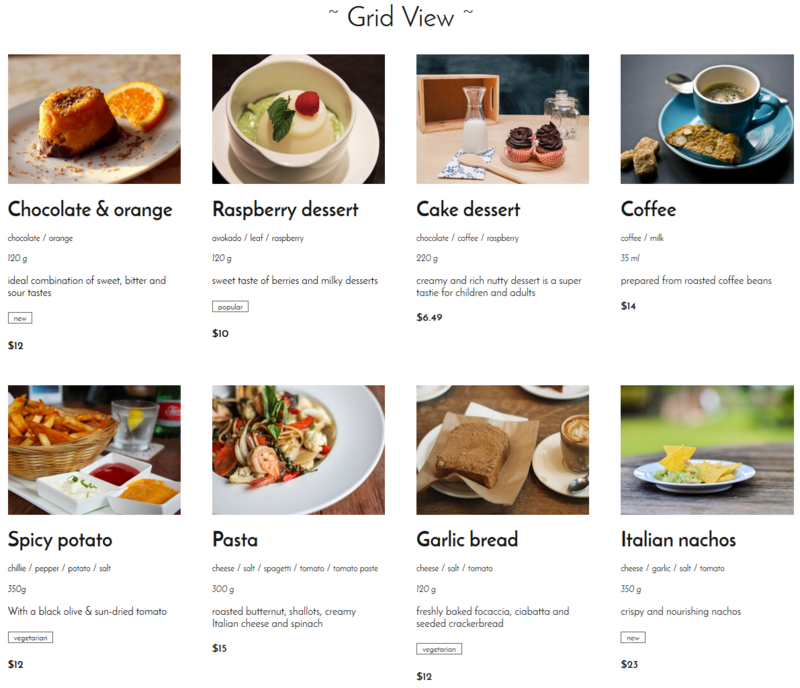 Awesome but It would be nice if I can bulk edit menu items in category section. Editing dozens of item one by one is pain. We would appreciate if you explain this request more detailed. Could you specify what exactly changes you would like to apply by bulk edit action?